Today we are pleased to announce the release of our 2019 Roller Coaster Calendar. 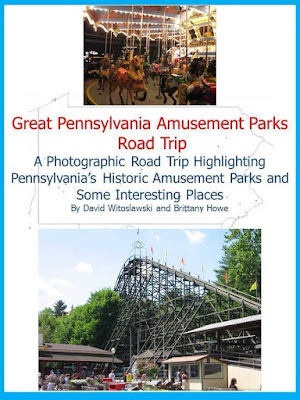 It features roller coasters from many amusement parks, including Knoebels, Holiday World, Waldameer, Kentucky Kingdom, Carowinds, Cedar Point, Family Kingdom, Kennywood, Darien Lake, and Kings Island. These calendars are custom made with photos taken by the authors. The calendars open up to be 17 inches tall by 11 inches wide. Purchases can be made using the PayPal menus at the bottom of this page, and at the top of the page.